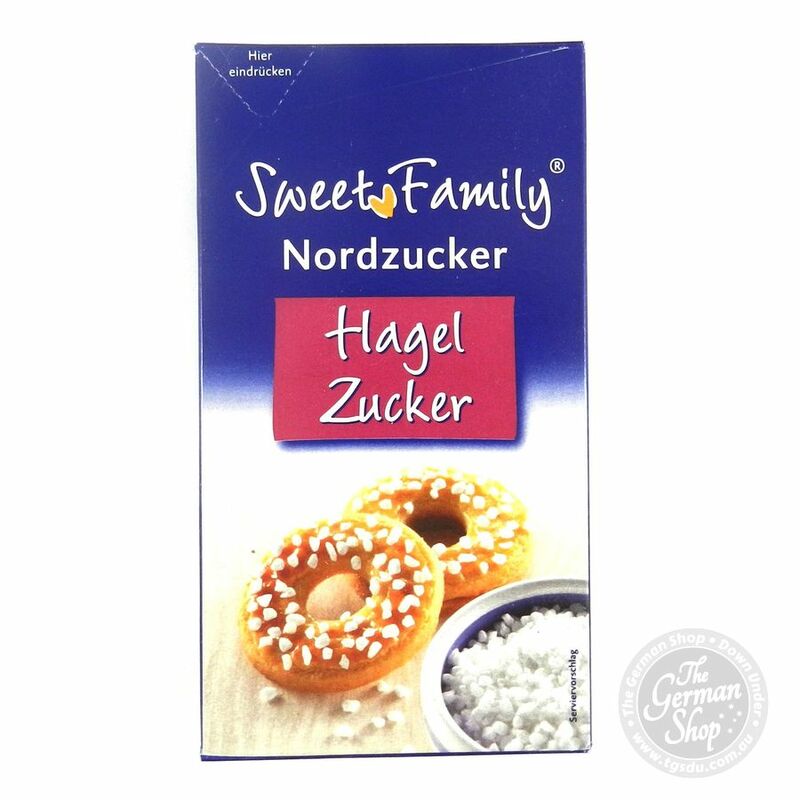 Gelling powder for extra fruity jams. With pectin from citrus fruits. 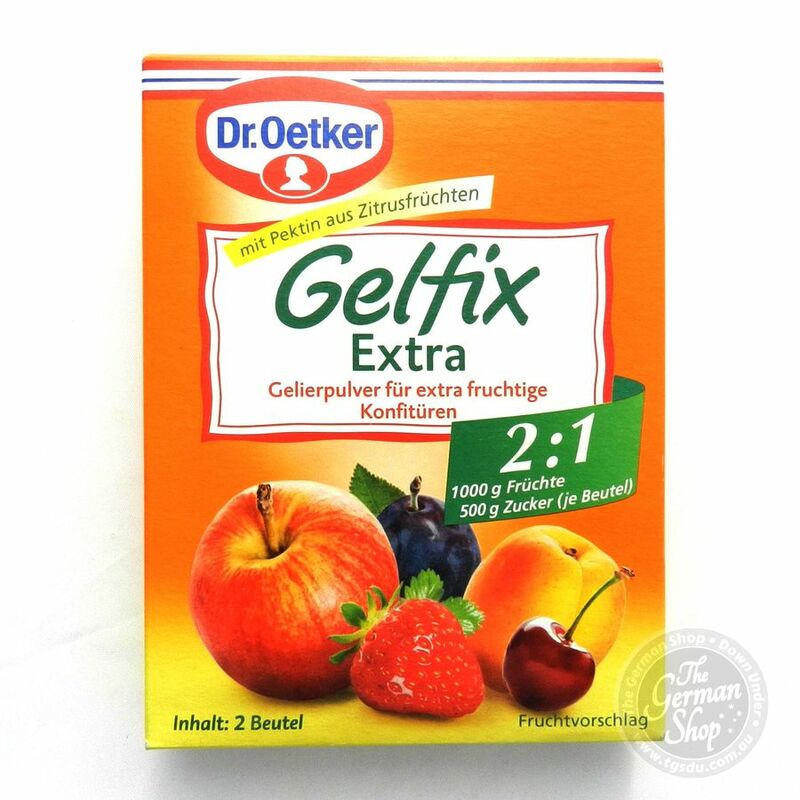 Dextrose, 27% gelling agent (pectins), acidifying agent (citric acid), preservative sorbic acid, palm oil. 2. Place the fruit / fruit juice in a large cooking pot. 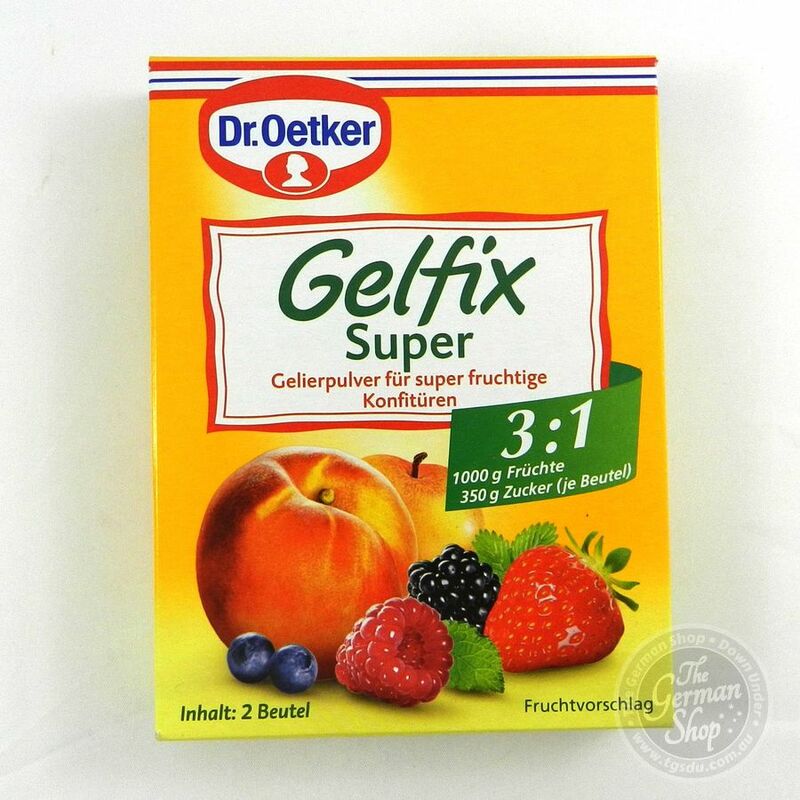 Mix sugar with Gelierfix Extract, then mix with the fruit. Allow to boil while stirring under high heat and boil gently for at least 3 minutes with constant stirring. 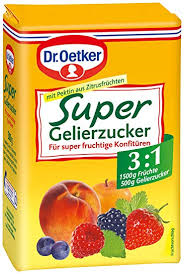 Tip: If the gelling test ( add 1-2 teaspoons of the finished hot juice on a plate) doesn’t get hard, add 1 packet of Dr. Oetker citric acid and mix well, and then fill into glasses.